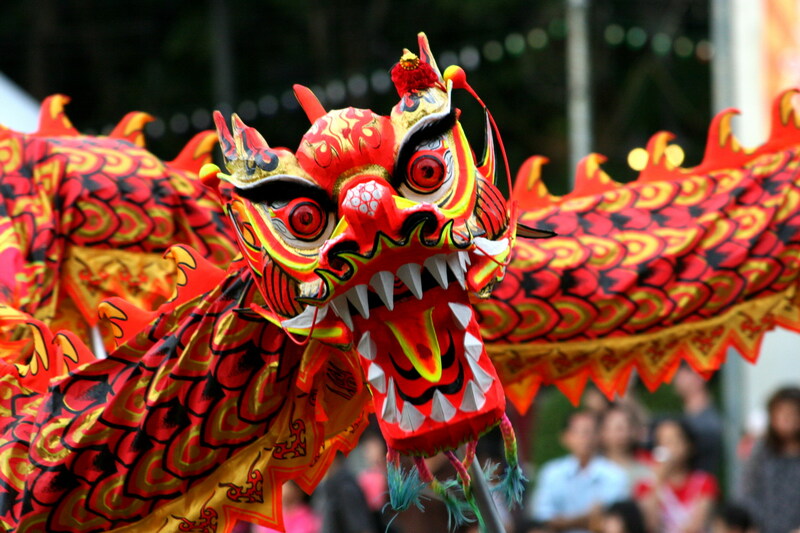 Chinese New Year is the most celebrated festival in the whole of the Chinese calendar. The event commemorates the start of all new life and is also known as the Spring Festival. By honouring deities and ancestors and sweeping away the past year, families become ready for the good fortune of the coming months. Decorations are elaborate and numerous, as well as theatre shows, puppets and fireworks being ubiquitous. This is an ideal time to visit China for a glimpse into the extravagant festivals and the fascinating culture. Celebrated in the first month of the year, the Lantern Festival officially ends the New Year celebrations. Throughout China, there are fairs and parks dedicated to these beautiful decorations. Some lanterns are huge; often shaped into the image of the coming year’s animal totem, they are stunning and creative. Meanwhile, children have smaller, simpler designs and they play games with the lanterns, like solving riddles. A bright and illuminated event, the Lantern Festival shows just how important the lengthy New Year celebrations are to the Chinese. A springtime festival, Qingming Festival is observed as a time to go outside and enjoy the coming warmth of spring as well as honouring the dead. Chinese families will visit graves of deceased loved ones and leave tributes. It is a chance to spring-clean, ward off evil spirits and go on outings. During this time, events are often based outside, and many celebrate with drinking Chinese tea, which is divided into two types, being picked before or after the festival. The festival dates back over 2,500 years ago, and as such is a huge part of the ancient culture. Based in the Buddhist and Taoist belief systems, the Ghost Festival is a way of honouring and commemorating the spirits of dead family members and ancestors. Celebrations include meals served to the whole family – the deceased included! The legend goes that at this time of year, the ghosts who have not been paid tribute to come back to receive the attention they have been lacking. The festival is a mark of respect for all family members past and present, and as such is a poignant reminder of how important ancestral-connections are. A traditional festival going back over 2,000 years, the Dragon Boat Festival occurs around the summer solstice, representing the peak of “yin” energy. The image of the dragon is associated with this masculine energy, and so on this day there are dragon boat races to celebrate. These events are hugely popular and highly competitive, although there are more relaxing parts of the day too; eating and drink is another big part of the festival. Meanwhile, there are many different games and activities throughout the day that are seen as promoting good health. This festival is based on an ancient story of love and loss. It describes a story of a goddess’s daughter falling in love with a mortal, and their forbidden love leading to them being banished to the sky to remain apart except for one day a year. This mystical holiday commemorates the day that the lovers get to spend a day together because of the bridge of magpies that come to unite them. The festival is seen as a day to wish for a good partner and remember the mythology that it is based on. Held on the full moon in either late-September or early-October, this festival celebrates the fertility of the land at the time where rice-harvesting is being done. Traditionally, the festival is a way of celebrating the goods that nature has offered, giving thanks and asking for continued blessings. Mooncakes, a type of filled-pastry delicacy, are given and received to promote good fortune. They often have Chinese characters representing positive meanings to reinforce the message. Meanwhile, children celebrate with lanterns and festivals include incense-burning and live performances. The Double Ninth Festival occurs because of the seemingly dangerous day of having too much yang, based on the lunar seasons. As a precaution, measures are taken to promote good fortune. Customs include climbing high mountains to avoid epidemics that were around years ago and eating cakes to symbolise the progress that will be made. Chrysanthemums bloom around this time, so the beautiful flowers are often used to make tea or wine that is drunk on the occasion, and sometimes chrysanthemum shows are held. A festival celebrating the shift of the seasons, this is the shortest day of the year and so brings with it events concerned with returning or reunion. Traditional meals include rice balls and dumplings that symbolise this getting together, as well as the positive energy that approaches from this point onwards with the lengthening of days. Family gatherings are common and very much encouraged; feasts are prepared and the harmony and balance of the season is a reflection of the balance of yin and yang elements.